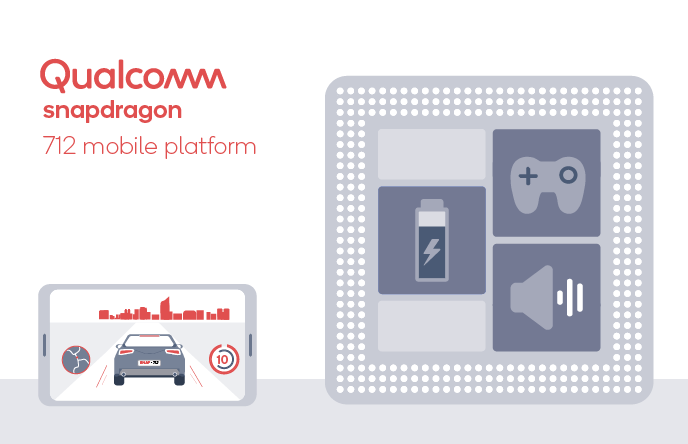 Snapdragon 712 arrived with faster clock speed and exceptional quick charge support for Quick charger 4+. This processor outscores the existing Snapdragon 710 in some cases and comes up for a better substitute for Snapdragon 710. 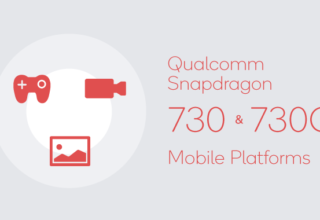 The whole chip is fabricated on a 10 nm FINFET process which is as same as the Snapdragon 710 in an actual charging and discharging test but just because the SD 712 got 8x Qualcomm Kryo 360 CPU that clock at 2.3GHz which is slightly higher than the 2.2 GHz of SD 710. GPU, modem, and image capturing ability are as same as the SD 710. In an exception, SD 712 supports quick charger 4+ which throttles charging a bit faster than expected. The GPU is the same as SD 710, a Qualcomm Adreno 616 on board makes gaming being experienced in a somewhat better way. Internet connectivity and capability are also same as SD 710 where it has Snapdragon X15 LTE Cat.15 / Cat.13, 800 Mbps DL / 150 Mbps UL attached. On the other hand, SD 712 is equipped with TrueWireless Stereo Plus and Broadcast Audio technologies that deliver superb sound and better Bluetooth audio experience. Though it’s fabricated on a 10 nm process, it’s still lagging behind Snapdragon 675 on scoring better on Geekbench. So, just the process of manufacturing doesn’t make a processor better. It’s just the technology used for crafting the SoC. Hopefully; SD 712 will replace the necessity of SD 710 in an improved way and will serve the same purpose more effectively.